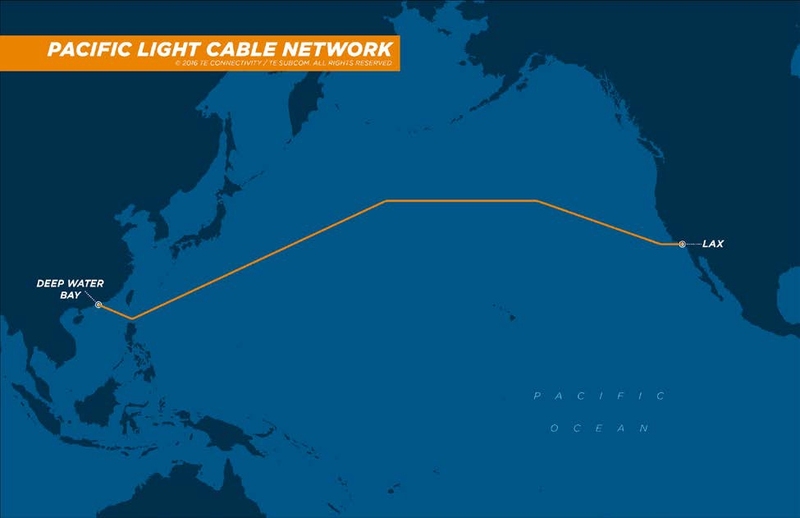 Facebook and Google in partnership with China Soft Power Technology subsidiary Pacific Light Data Communication Co. and TE SubCom on Wednesday announced plans to co-build the first direct undersea cable system linking Los Angeles and Hong Kong with ultra-high capacity transmission. Google Networking Infrastructure Director Brian Quigley said the Pacific Light Cable Network (PLCN) will consist of 12,800 km (nearly 8,000 miles) of fiber with an estimated capacity of 120 Tbps, effectively making it the highest-capacity trans-Pacific route (a record that is currently held by another Google-based cable system, FASTER). Seeing two Internet giants like Facebook and Google work together may seem odd but it’s quite common for companies like these to join forces on such an endeavor. Earlier this year, for example, Microsoft and Facebook came together on project MAREA, an undersea cable that’ll stretch across the Atlantic once complete in October 2017. The PLCN, which is the sixth cable that Google has an ownership stake in (the others being Unity, SJC, FASTER, MONET and Tannat), will provide enough capacity to support 80 million concurrent HD video conference calls between users in Los Angeles and Hong Kong. It’ll also give Google’s Cloud Platform the largest network backbone of any public cloud provider, we’re told. Quigley said they expect the PLCN to become operational sometime in 2018.